Successful Twitter Marketing is powerful. Twitter is a great platform for most marketers with over 313 million monthly active users. Starting up a Twitter page for your company is easy. Improvement on your Twitter account takes more than sending out Tweets whenever your company has a product being released. It’s about engaging with your audience and interacting with them. By this article, you can become a pro with Twitter and you’ll unlock new opportunities to grow your business online. It is an online news and social networking site where people communicate in short messages called tweets. Tweeting is sending short messages to others who follow you on Twitter, Microblogging is another description of Twitter and tweeting. Some people use Twitter to discover interesting persons and companies online. Twitter’s big advantage is how rapid it is, you can track many interesting Twitter users, and read their content in a short time that is ideal for our modern world. Twitter to be a scan-friendly platform employs a purposeful message size restriction. Every tweet entry is limited to 280 characters. This size can make tweets very easy to scan by promoting the focused and clever use of language. Maybe this size restriction has really made Twitter a popular social platform. People send tweets for some reasons: attention, promotion of their marketing. Most of The Twitters use that as a fun tool, a chance to shout out at the world and revel how many people choose to read your stuff. But the number of Twitter users who send out some really useful content is growing, and that’s the real value of Twitter. It provides a stream of quick updates from friends, family, scholars, news journalists, marketers. Twitter gives people the power to become amateur journalists of life, sharing something that they find interesting about their day. You can join with a free account and Twitter name to use as broadcaster or receiver. Then you send broadcasts daily, or hourly. You simply find someone interesting and ‘follow’ them to subscribe to their tweet to receive Twitter feeds. You can simply ‘unfollow’ people when a person becomes uninteresting to you. What’s the difference between Twitter and other social media? Your approach to other social media site should be different. For example, your Twitter marketing strategy isn’t going to be the same as your Instagram marketing plan. You will shape the way you use Twitter if you understand how Twitter works and where it fits in the social media landscape. Most of these activities have to do with interactions. It’s not necessarily just broadcasting your content like Instagram. Twitter improve communication. It’s time to set up your profile correctly. 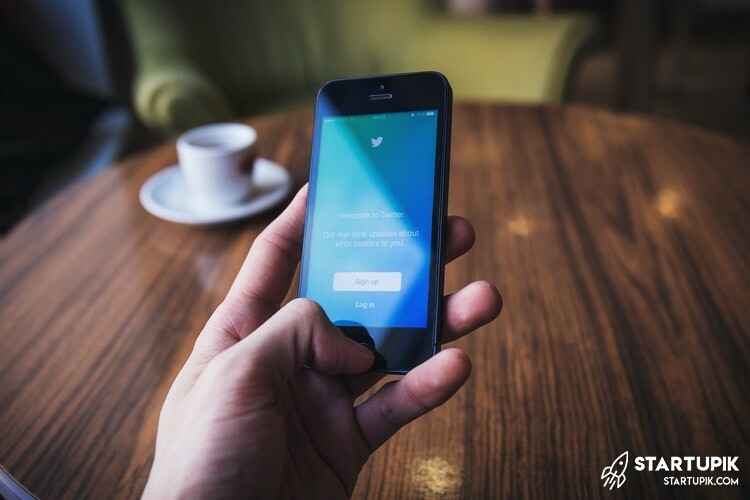 We’ll go over real Twitter marketing strategies that will help you be more successful, keep reading this post if you’re interested in how to market your business on Twitter. Using Twitter as a Marketing Tool? Yes, when you decide using Twitter as a marketing tool, there are more pros and cons. When so many people on the internet utilizing the free and relatively easy to use service, it is harder to find reasons not to use this social networking platform. Thousands of people advertise their services and products, their consulting businesses, and it does the trick. The modern internet user is tired of a TV advertisement. People today prefer advertising that is faster and can be turned on or off at will. Twitter Marketing is exactly that. you can get good advertising results by using Twitter, if you learn how tweeting work. Imagine if you have a product that would provide tons of value to its users, it will go viral on Twitter. Twitter is 100M active users, Most Twitter users are hyper-connected, they are influencer’s and want to share opinions with other people. Many of them keep blogs. For most marketers, the decision to use Twitter will depend on the type of products. Before you identify the main objective for your organization’s use of Twitter Marketing, at first you must understand the Twitter community and what others think of your Market. Like other effective marketing strategies, you need to establish what goals you hope to gain by being on Twitter. Are you trying to create awareness of your company as a promotion or special offer, or to achieve more followers? Twitter Marketing for some businesses is the preferred social media strategy. it allows limited characters per tweet, you can tag other businesses in your message as well as including hashtags that are relevant to your message. Hashtags highlight keywords in your message are used to categorize tweets. For example, you may be an online magazine that its brand name is Startupik and would like to raise awareness around your online posts. In this instance, it would be beneficial to include a hashtag relevant to the topic such as #startupik. This way, anyone who searches for that in twitter will have a greater chance of seeing your post. Twitter has the ability to engage with your existing customers as well as the opportunity to build relationships with new ones. You can “follow” other businesses and customers and connect to them on twitter, and they, in turn, will “follow you” back, which will result in expanding your network. Posting updates and tweets that your customers will find useful and of interest can engage people with your business, helping to create a positive image of your business. With too many tweets people maybe find you as “spam” so be careful, be creative about what you are posting, keep your post relevant, useful and interesting. Twitter help Small to medium businesses create brand awareness. It is important not to railroad in and bombard people, if your business is fledgling. Having a personal touch to your profile, before introducing your brand logo is often the best route in, as people prefer interacting with a person, getting to know the person behind a brand first. Social media is a great place to share information about a new offer, product that you are promoting at the time. Advertising through radio and TV are very expensive, but social media like Twitter can be that successful at getting your business out there to a large audience, for free! Paid advertising is an option within social media and enabling you to directly target a particular sector or market. In business Keeping an eye on your competitors is not a new concept, and extends to social media like Twitter. Being aware of the latest activities of your competitors will help you to develop your own Twitter Marketing strategy and perhaps you can pick up some tips as well. Most companies have a blog as part of their strategy. If you have spent the time to create a post, you want to make sure that as many people can read it and be aware of it as possible. By adding links to your tweets you can create awareness as well as direct traffic to your website. As you can see there are many benefits to using this social media, it is a simple marketing tool that should be used to create as much of a splash around your business. Keep in touch with things that are happening in your market, sharing other posts when they have a relevance and linking to your business or brand. Fill the form by entering your name, your email, a password, and a username. Customize your Twitter profile and page. Tip: During customizing your Twitter account, keep your handle, profile photo, background image and bio consistent with your company brand, and social media marketing strategy. Add character. Upload your profile image or your avatar. You can post your Tweets directly to your Facebook page. You are now ready to send your first Tweet!